This is a Prey article. This page contains a full walkthrough of Main Mission Before I Give You the Key for Prey. Read it now on Samurai Gamers! This is a Prey article. This page contains a full walkthrough of Main Mission “Before I Give you the Key”, including objectives, items and enemies encountered. To start this mission, head on over to Alex’s office to get his arming key after he calls you. Alex gives you the code to his grav shaft for you to access his office easily. You can head up to his office via the grav shaft in the Arboretum. The Arboretum is infested with phantoms and mimics, so watch out. Once in his office, you’ll notice that Alex isn’t there. He contacts you via your transcribe and tells you to watch a video. There are two neuromods on his desk. Use the workstation once Alex sends you the password to his computer. Select Utilities then LG Controls. Play the video on the looking glass for a shocker of a plot twist. Objective 2 – Get the chipset for scanning coral from Alex’s desk and install it. Alex asks you to finish some coral scans. He’s giving you some scan locations and a Coral Detector 64si for scanning coral. Make sure you have at least one psychoscope slot open for this chipset. You might have to sacrifice a different chipset otherwise. Once you’re done, head on over to the nearest airlock of your choice. Make sure you have enough ammunition, because this will be a stressful time. Once you’re in the Exterior, head for the first coral node. Once you arrive at a hatch near the waypoint, you will have to fight off some operators. Clear the operators so you won’t have a harder time fighting off the typhon inside. Throw in a typhon lure and a nullwave transmitter to incapacitate the weavers. Use your Q-beam to blow them up. The second coral node is in the same chamber. Follow the waypoint to its location and scan. After you’re done, head back to Alex’s office. 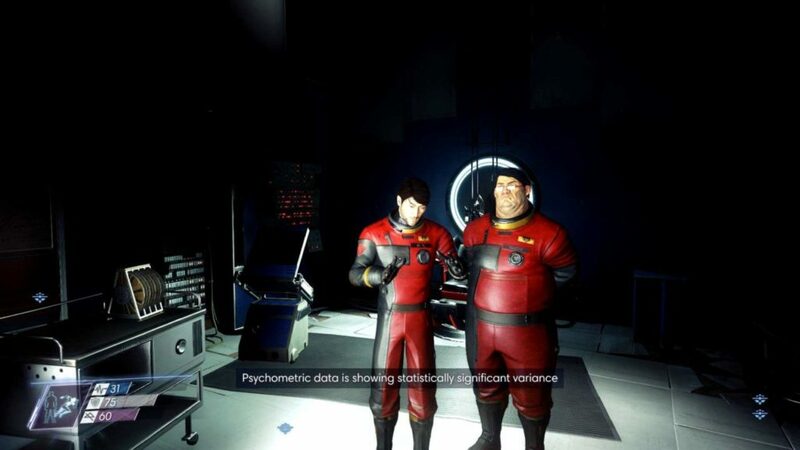 Uploading the data on Alex’s computer marks a point of no return for you, so make sure that you’ve upgraded your Disruptor Stun Gun and EMP charges. When you’re ready, upload the data. KASPAR interrupts you! Walter Dahl has arrived and wants to take control of the whole station. Military operators enter the room and start attacking you. Using your disruptor stun gun and some EMP charges, you can take them out with some resistance. The crux of your writing whilst sounding reasonable in the beginning, did not really sit well with me after some time. Someplace throughout the sentences you were able to make me a believer unfortunately only for a short while. I nevertheless have got a problem with your leaps in assumptions and one would do well to fill in all those gaps. In the event that you actually can accomplish that, I could undoubtedly end up being impressed.